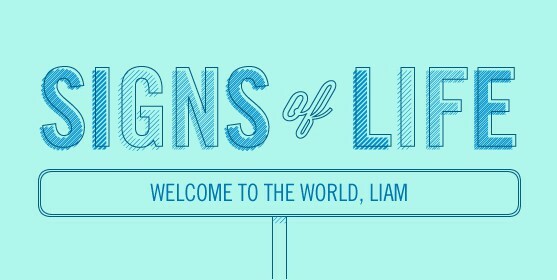 Signs of Life: Welcome to the World, Liam! Our Signs.com family got its newest member last week! We’re excited to introduce Liam. He was born on January 31st at 12:15 a.m. 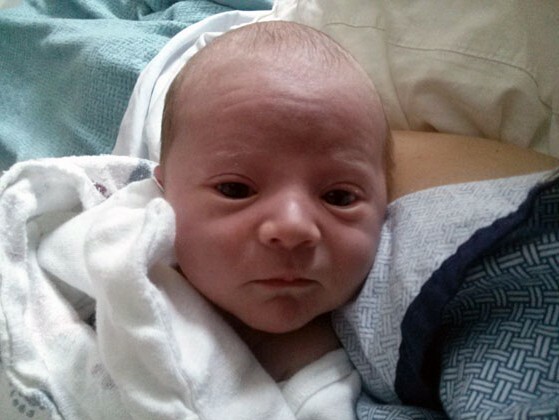 He weighed 7 lbs, 14 oz and measured 21 1/2″ long. Liam’s parents wanted to celebrate his homecoming in a special way, so his dad designed this banner. Though Liam obviously can’t read, he’ll look in his photo album later and see just how important he is to his family. Just another great example of the Signs of Life!